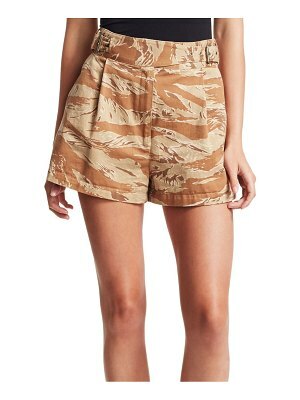 J Brand Jeans "Bona" cargo shorts in Peach Whip denim. Front patch pockets; back welt pockets. Mid rise. Slim fit. Eased leg opening. Button/zip fly; belt loops. Cotton/polyester/polyurethane. Imported.